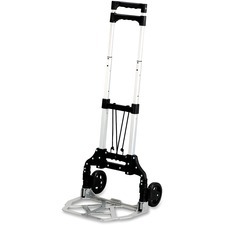 Lightweight aluminum frame of the Stow & Go Cart makes it ideal for sales staff, travelers and small offices. Collapsible design lets it fit into small spaces for compact storage. Design includes a telescoping handle, 5" diameter solid rubber retractable wheels, and a fold-up toe plate (15-1/2" wide x 11" deep). 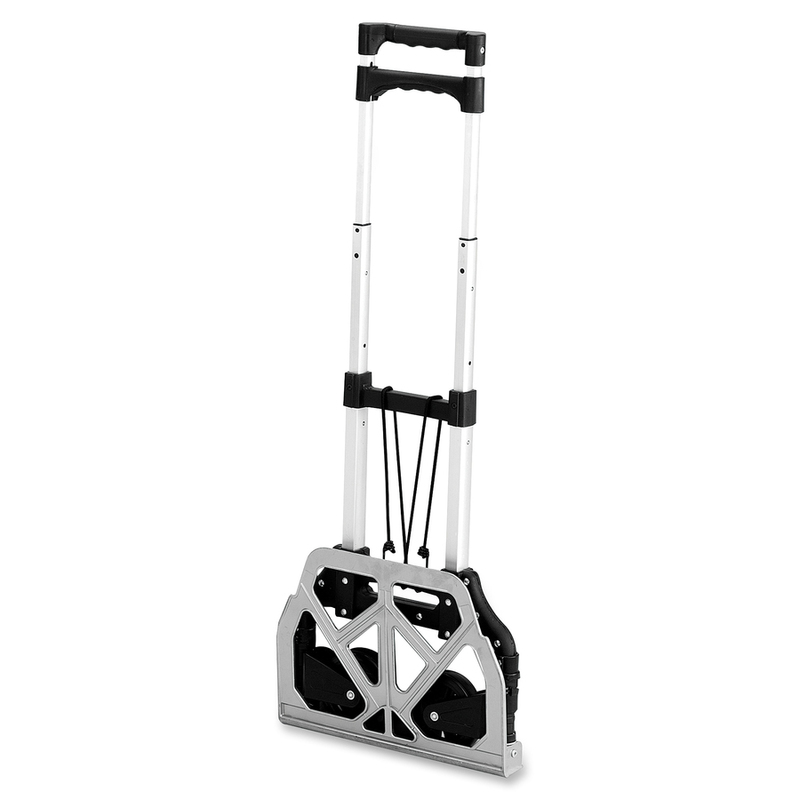 Hand truck holds up to 110 lb.